Once a troubled youth himself, Paul Lavea later found himself drawn to a career as a youth worker. He says that calling has turned out to be a blessing, allowing him to serve and support his Pacific people. 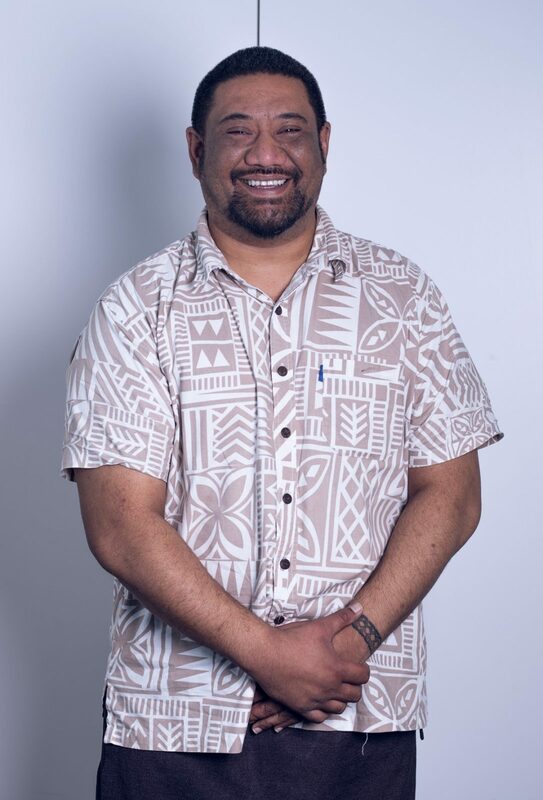 Today he is the Disability Information Advice Service Co-ordinator with Vaka Tautua, an organisation dedicated to supporting New Zealand’s Pacific Island community. Paul helps young people understand their role and the value they contribute to their Pacific communities. He’s worked with young people for over 15 years, spending the past six years focusing on supporting youth with disabilities, and he can now gain a formal qualification through a workplace-based training programme. Through the support of his new employer, Paul is embarking on a journey to upskill himself through the New Zealand Apprenticeship in Community Facilitation. “I was advised by our workplace here at Vaka Tautua to do this qualification, because the role I am in requires me to work with our people in the community,” Paul says. As the eldest of a family of eight, Paul says he didn’t have the opportunity to go to university or pursue other forms of formal study after leaving school. “Being Pacific Islander and the eldest, I was the first to find a job and support my parents,” he says. That’s when he started working with young people, to help them understand their roles and the value they can contribute to their Pacific communities. For Paul, the Apprenticeship programme, facilitated by Industry Training Organisation (ITO)Careerforce, is the first time he’s done a qualification online. “But computers are the thing for today, so it helps me that I can do it in my spare time,” he says. He says the Apprenticeship will give him the opportunity to gain a formal qualification for the work he loves doing and encourages young people to consider a career serving their communities. “The personal values you need to do this role is to be able to talk to the people and be comfortable of yourself. You need to be open and be passionate about working with your Pacific brothers and sisters,” he says. Are you interested in a career as a Disability Support Worker? Check out more Careerforce qualifications here.